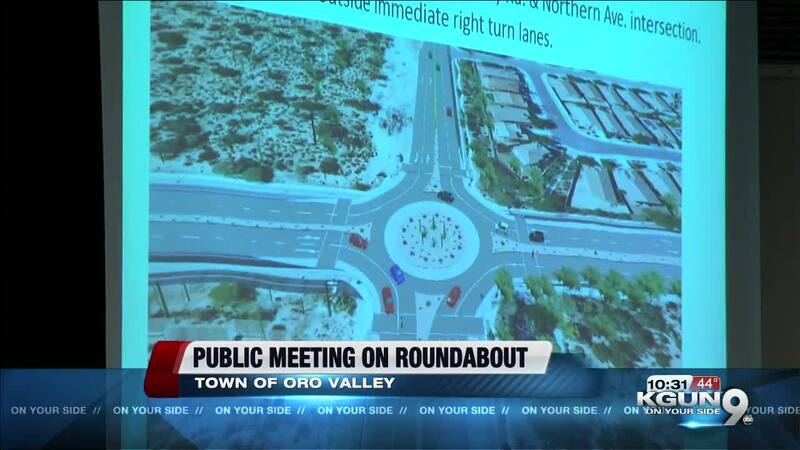 TUCSON, Ariz. — The town of Oro Valley held a public meeting Monday night to discuss whether to put a roundabout at the intersection of La Cañada Drive and Moore Road. The meeting allowed for public comment on the proposed change. Nearly a year ago, about half the town wanted the roundabout, and half wanted a traffic signal. Since then, Oro Valley has conducted more research and analysis. The recommendation from an engineering consultant and the town engineer is to install a roundabout at the intersection. The town may announce a decision within the next two weeks.